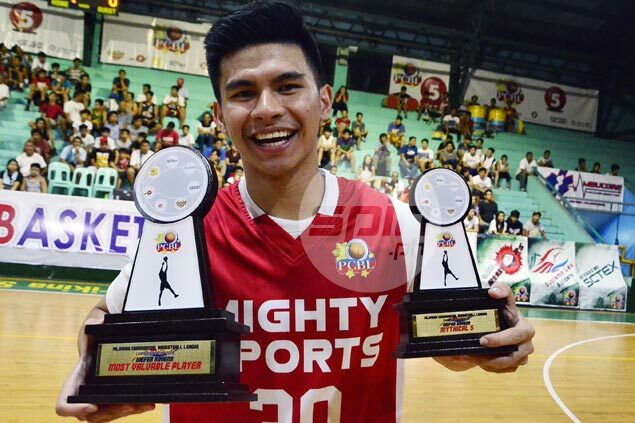 Kiefer Ravena adds the PCBL trophy to a long list of individual awards including two MVP crowns in the UAAP. KIEFER Ravena added another title to his list of honors as he bagged the Most Valuable Player trophy of the PCBL Chairman’s Cup. The former Ateneo star was the runaway winner after accumulating 63.111 statistical points (SPs). Ravena averaged 17.1 points, 3.1 rebounds, 3.9 assists, and 1.3 steals per contest. He received the award before Game Two of the Chairman’s Cup finals between his team Mighty Sports and Jumbo Plastic. Ravena adds the trophy to a long list of individual awards including two MVP crowns in the UAAP. Ravena was joined in the Mythical Five by teammate Bright Akhuetie, Jeff Viernes of Jumbo Plastic, Cedrick Ablaza of Foton and Raul Soyud of Biyaheng SCTEX. Akhuetie also won the Best Import award, beating Ola Adeogun of Euro-Med. Kent Salado of Sta. Lucia, Rocky Acidre of Supremo Lex, Stephen Siruma of Jumbo Plastic, Marlon Gomez of Foton, and Jay-R Taganas of Jumbo Plastic won the Defensive Team honors.